NGUCHA Energy Corporation Limited has asked the Lusaka High Court to dismiss preliminary issues raised by former Roan member of parliament Chishimba Kambwili in a defamation case. In this case, Ngucha Energy sued Kambwili who is the National Democratic Congress consultant and are demanding K2 billion after the latter alleged that the company belonged to President Edgar Chagwa Lungu. They are also demanding damages for loss of income and an unreserved apology plus any other relief the court might deem fit. But Kambwili raised preliminary issues in the matter. He alleged that the statement of claim did not disclose a cause of action against him. 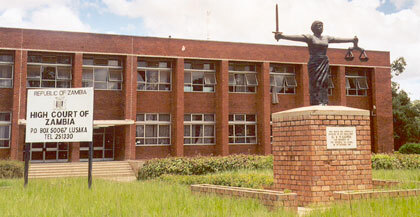 Kambwili argued that the plaintiffs did not endorse in its statement of claim lodged in court on January 24, 2019 the exact defamatory words attributable to him contrary to the rules of court in defamatory cases and further that it did not provide the names of publication where the alleged defamatory words were carried. Kambwili prayed that the case be dismissed for being defective and incompetent. But Ngucha managing director Elias Kamundi has filed an affidavit opposing Kambwili’s preliminary issues. He submitted that Kambwili should be answerable for his claims that the company belongs to President Lungu, adding that his allegations caused the company to suffer loss of income. Kamundi explained that the Ministry of Energy terminated a contract for the supply and delivery of diesel and unleaded petrol. He stated that his company has continued to suffer loss of business in its retail filling stations by reason of the injurious and malicious falsehoods made by Kambwili. And Kamundi stated that the plaintiffs amended their statement of claim and disclosed a cause which Kambwili should answer. Kamundi stated further that in the amended statement of claim, it clearly shows that the case was premised on falsehoods that Kambwili uttered during a Radio talk show programme; “Let the people talk” on Radio Phoenix . He urged the court to throw out the preliminary issues and proceed to hear the main matter.